Finally, you wont have to hear me whinge about being tired and time poor all the time because, my dear readers, its holidays! 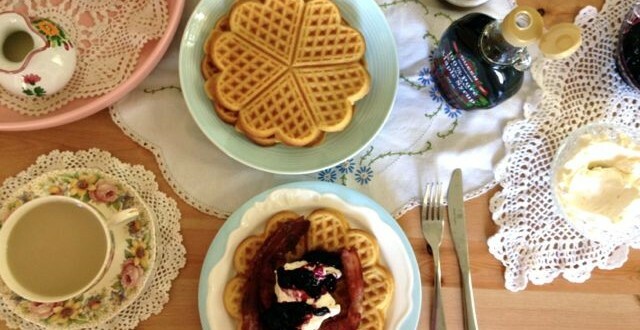 And what better way to celebrate the holidays then with some waffles? When i’ve had a rare moment to unwind i’ve been spending my time reading up on the recipes at Food52 which is where I found a super easy waffle recipe that is perfect for a lazy Sunday morning. 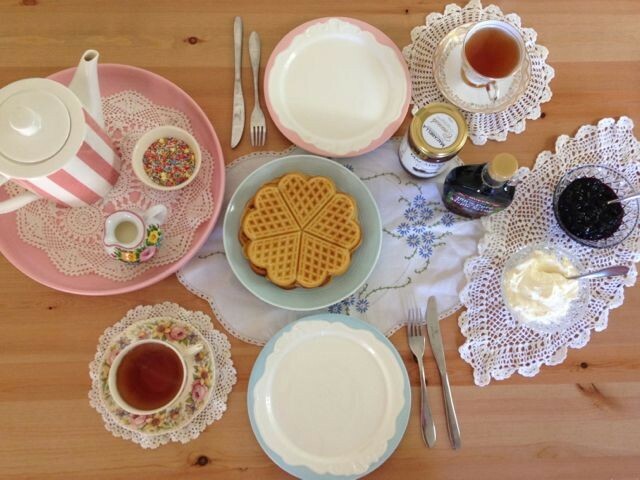 Just quietly though, I can’t believe how seriously the Americans take their waffles. 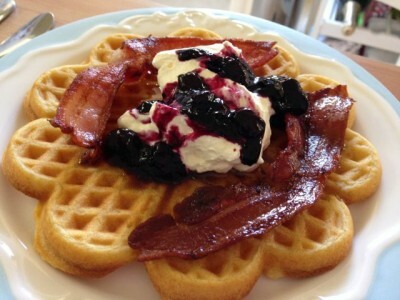 The comments under the waffle recipes are insanely detailed and passionate! I also can’t believe how many of them are perfectly willing to use a batter that requires whipped egg whites and resting overnight. This waffle thing is clearly serious business. Me, I like a good waffle, but we all know that they’re just a vehicle for the toppings. And baby, do I love a good waffle topping. 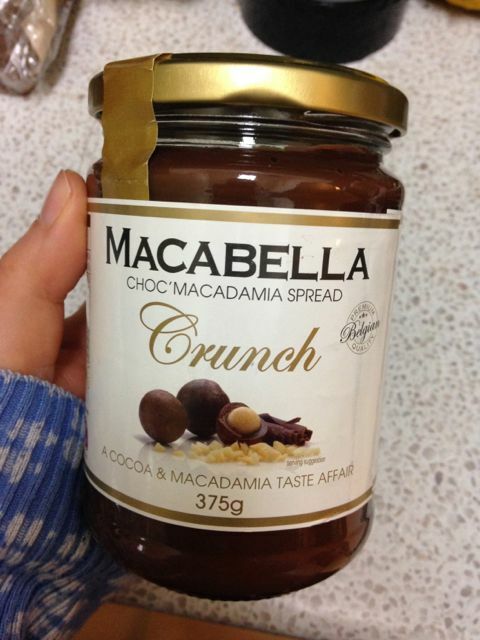 I picked up this jar of Macabella Crunch at the supermarket when it was half price. I now desperately regret not having gone back to load up my trolley with more jars. This stuff is delicious. It has a deep chocolate flavour and while it doesn’t have a very discernable taste of macadamias, the crunchy shards of nuts add nicely to the texture. So I slathered that baby on my waffles and topped it all with a dollop of double cream and a smooshing of freshly made blueberry jam. Wait wait wait. I know you’re thinking “how did she make jam and waffles a the same time? 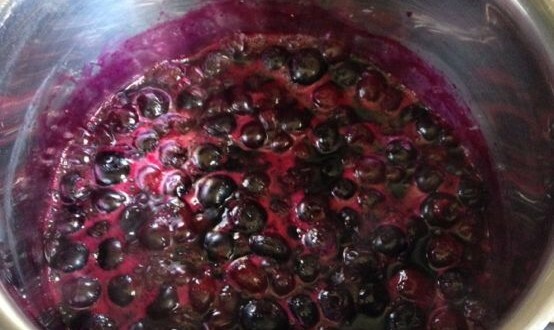 Surely the whole jam-making thing is time consuming and tricky?” I’m going to share a secret small batch blueberry jam recipe that you can make in half an hour with pretty much no effort. 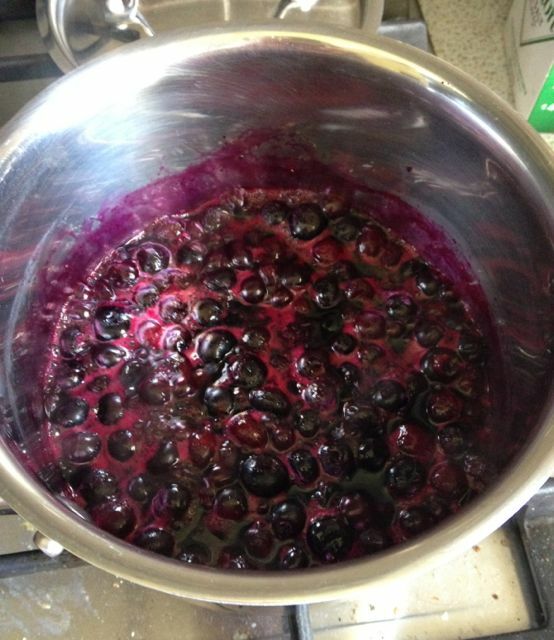 All it is is 2 cups of frozen blueberries, a little bit of water, lemon juice and sugar. Pop it on the stove, get it to a simmer and leave it to reduce. If you want a compote you can just take it off the stove after 8-10 minutes but if you want to get it thicker, just let it simmer for another 15-20 mins stirring regularly to make sure that it doesn’t stick to the bottom of the pan. this is the breakfast for you. 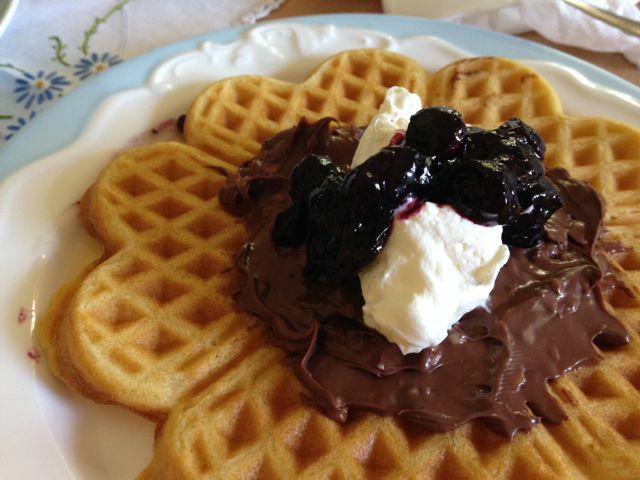 All you need is a bowl for your batter, a waffle maker and a saucepan for your jam. What could be wrong with that? So now, my lovelies, I will be off enjoying the first weekend of the holidays and making a list of all the goodies that I want to bake in the next two weeks. What are you doing to relax this weekend? 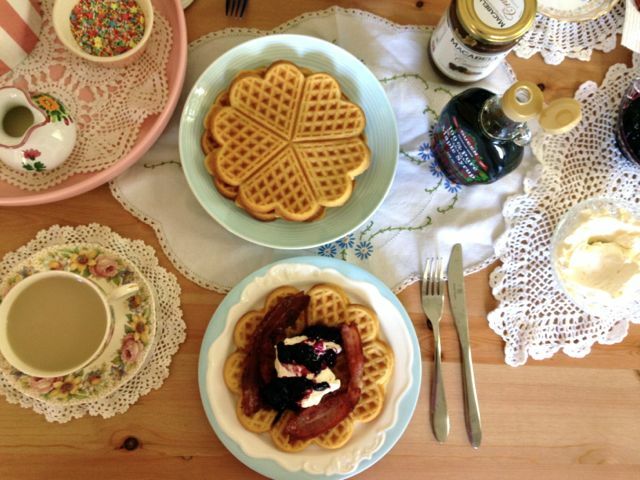 And are you the kind of super organised person who can make waffle batter the night before? What is your secret?! Serve immediately with as many toppings as your belly can take! Note: You can freeze leftover waffles for toasting on a work morning where you need a treat but have no time. You’re welcome! lol at the skim milk shaming! haha! Thats just how I roll Helen, I just don’t see the point. 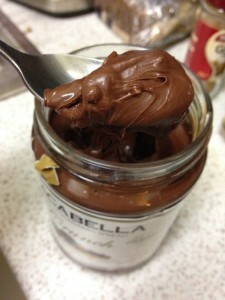 Particularly when you’re making indulgent breakfasts!